Monday saw some interesting announcements from the European Union (EU). The topic was the security of online data, not just from hackers but also from questionable use by the companies hosting it. To that end, major changes and updates are being suggested for the now 16-year-old Data Protection Directive. Data-protection authorities in the European Union must have greater powers to better enforce privacy rules across the 27-nation region, the EU’s justice commissioner said. To create that level-playing field, Reding proposes that both consumers and corporate entities need a “one-stop shop” — legally speaking — one law and a single legal authority based on which member state the company’s main offices are located. Under the current laws, which have not been updated since the Internet’s infancy in 1995, companies have to abide by 27 different interpretations of EU’s privacy strictures. ‘The administrative burden associated with this fragmentation costs businesses an estimated 2.3 billion euros ($3.08 billion) per year,’ said Reding. Reding cites the need to make the EU companies more competitive when questioned about why she is suggesting this during a period of economic chaos. It does make a valid economic case to go along with the personal privacy concerns, concerns that are uppermost in Reding’s mind, it would seem. During a separate speech, Ms. Reding said Tuesday that she wanted to give users of social networks and other Web services greater control by, for example, letting them delete personal data or move it to other sites more easily. Companies like Facebook have generally resisted such proposals, fearing this could undermine the development of services like targeted advertising, which relies on the mining of consumer data. Facebook must be looking askance at this. It has consistently battled over control of user data. Ask anyone who has ever tried to completely delete a Facebook account. As a matter of fact, the FTC has recently ruled that Facebook will be subject to independent audits over the next 20 years due to concerns over its handling of user data. Over the past several years, Facebook has built up an impressive list of privacy failures. Sharing user information with advertisers despite statements to the contrary. Failing to ensure data security in its apps despite flaunting its “Verified apps program.” Allowing third-party apps to access “Friends only” information. And, of course, the Beacon. Zuckerberg and crew might benefit from only having to obey one set of rules, but those rules look to be more stringent than the current patchwork system. This will not work to their advantage. Since Facebook’s record on privacy issues is horrible, the FTC settlement and the new rules in the EU could prove to be a major one-two punch to the foremost social network. It remains to be seen how it will weather it. It does make one wonder if we will see the same harmonization eventually take place on a global level, and if so, what effect it might have. 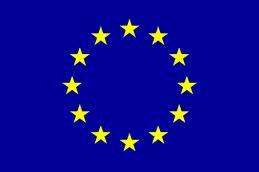 Image: European Union Logo, used under Fair Use: Reporting.